How to Create Sharp Lines with Painter’s Tape! The mark of a great paint job for your Toronto home is straight, sharp lines. 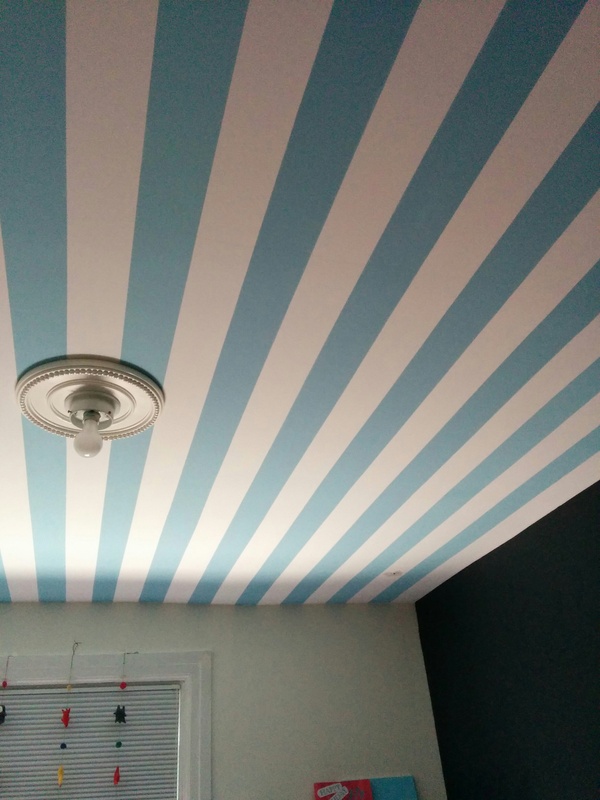 This can be beneficial if you are doing stripes on a wall, or just want a clean line between walls and ceiling. Many times when we are painting, we will do our “cut” lines freehand, just following the corner between the wall and, or the groove between trim and wall. However, there are many situations where a professional painter needs tape to ensure a clean sharp cut line. Here are a list of best practices to get the sharpest line possible. The beige tape is not painter’s tape. Beige tape is too sticky and usually peels paint off the surface. This particular tape is usually green or blue and is clearly labeled “painter’s tape”. The best is Frog Tape, but it’s one of the most costly painters tape as well. Even if a high quality painter’s tape is used all is for nought if it’s not applied correctly. If the edges aren’t properly sealed then paint will seep underneath the tape and wreck any possibility of a sharp straight line. 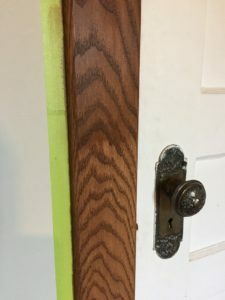 How do you seal the edges of the tape? If you are using Frog Tape, you have to make sure that the edge is firmly pressed down. Either use your finger and run it along the edge of the tape, or some people will use a plastic putty knife and run that along the edge of the tape. Once that’s done there should be no paint seeping under the tape and you’ll get a sharp line. Any of these methods will seal the edge of the tape. Either remove the tape right after you paint, or wait until the paint is fully dry. If the paint is partially dry it can lift off the surface. There you have it! Clean beautiful paint lines! If you’d rather leave the clean, beautiful paint lines to the professionals why don’t you book a quote? We’d be happy to Transform Your Home With Lasting Beauty!